In Turkey, import PVC prices for non-dutiable origins have rebounded from a five-month low this week as exports from European suppliers have mostly been disrupted in November due to the production issues at their upstream/downstream units. 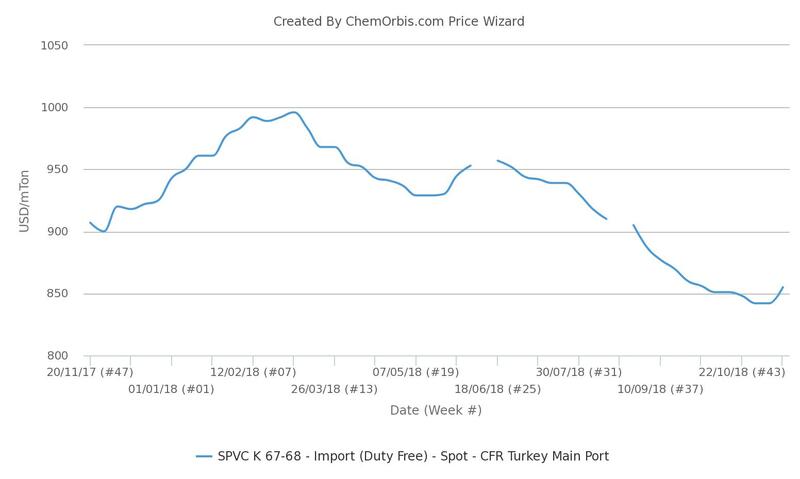 According ChemOrbis Price Index, duty-free PVC k67 prices turned up as of last week after following a decreasing trend since around mid-June on a weekly average and hitting a more-than-a-two-year low. 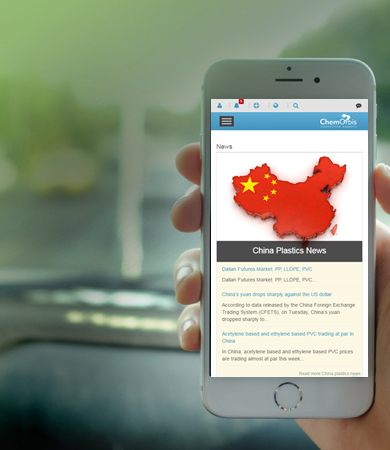 Certain PVC suppliers in Europe revealed that they will not be allocating material for their export customers until feedstock-related issues affecting their production are solved. Moreover, some of them were said to be facing delivery delays. “We believe that European producers will start offering again heading to the year-end due to the holiday season. They might divert their cargoes to Turkey amid thin regional trading due to Christmas holidays,” said a converter. On a side note, market sources in Europe expect to see a considerable drop in December ethylene contracts, pointing to the widening gap between spot ethylene and the monthly contract level. Plus, crude oil prices have hit a year-low recently. These factors might be prominent in setting the tone of the market in December, according to some players.